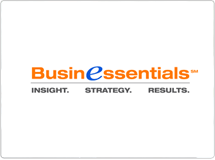 Businessentials is pleased to offer an integrated suite of services designed to launch your business to the next level. We implement cutting edge technology, innovative design and strategic vision to provide powerful solutions for businesses desiring to establish or enhance their online presence. Maceoo is about talent, creativity and making clothes an extension of your body to embody sensuality and sexiness in your way of living. The sophisticated and trendy designs bring a touch of class to those sporting the shirts. Maceoo has scoured the earth in search of the finest fabric to utilize in its collections. Our company helps restaurant operators grow their bottom-line, online. We are focused on bringing the best solutions to restaurants so they are not alone in figuring out how to embrace the web to get new customers, increase order sizes and generate more profits. Collective Solution uses highly trained collectors to collect your debt efficiently and at a lower cost than traditional call centers. Our unique model limits your financial risk, the more our collectors collect on your behalf is all returned to you! 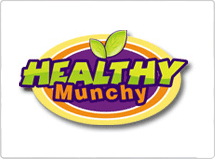 Passionate about the opportunity to bring fresh snacks to the marketplace, Healthy Munchy believes the way to your heart is through our yummy and delicious 100% natural Crispies. To keep your heart healthy, we know you’re not just eating, you’re living and snacking is a very important part of an active lifestyle. Today’s consumer is more demanding than ever. Being available 24 hours to your customer is quickly becoming expected. 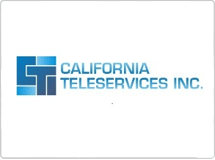 With CTI you are always available. We can be there when you’re not. Our call center services leverage the power of the World Wide Web with leading-edge call center technology to provide unique, transparent communications solutions. Datassential offers a full range of high quality, cost effective solutions including menu trend analysis, brand optimization, new product development, market sizing and more. We’ve compiled several of the most respected data resources to offer you unparalleled capabilities and value. We manage, repair and sell REOs = Bank Owned properties in Silicon Valley, CA. Investors love us! Outstanding services – Proven results! We are never too busy for new projects. We have extensive experience serving the insurance and bonding needs of California contractors. Our success is based on a simple philosophy – we treat all of our clients, large and small, the way we would want to be treated.